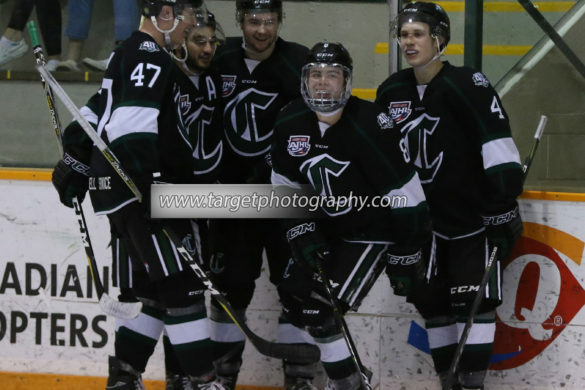 In one of the most anticipated games of the 2019 season, the Brooks Bandits shutout the Okotoks Oilers 4-0 at the Pason Centennial Arena to extend their win streak to 23 games putting them one win away from tying the AJHL record held by the 2017/18 Oilers. The scoring began shortly after the midway mark when Andranik Armstrong (University of Massachusetts Lowell River Hawks) buried his rebound for his seventh goal of the season. Still, in the first period, the regaining Alberta Ford Dealers defensive player of the week, Brandin Scanlin (University of Nebraska – Omaha Mavericks) doubled the Bandits lead with a heavy slap shot from the point with under two minutes to play in the opening frame. Brady Parker had a strong second period for the Oilers stopping all eight shots that he faced to keep his team in the game. However, Parker couldn’t hold off Brooks in the third period with two goals coming from Bobby Harrison and Jake Theis both scoring their fourteenth goals of the season. The Oilers were shutout for the first time since December 7th when they lost 3-0 to the Drumheller Dragons. Last night, Pierce Charlson made 23 stops for his fifth shutout of the season which helped end Okotoks 12 game win streak. The shutout also snaps Dylan Holloway’s (University of Wisconsin Badgers) 18-game point streak and Quinn Olson’s (University of Minnesota – Duluth Bulldogs) 20-game point streak. No, no, no, the Whitecourt Wolverines didn’t sign Jonathan Toews. They did in fact signed Beardy’s Blackhawks (SMHL) captain Nolan Doell. Doell, 2001-born, is a gifted offensive player who in 35 games this season has 53 points (25 goals, 28 assists) for the Blackhawks and is third in league scoring. He also had 74 penalty minutes to his name this season. 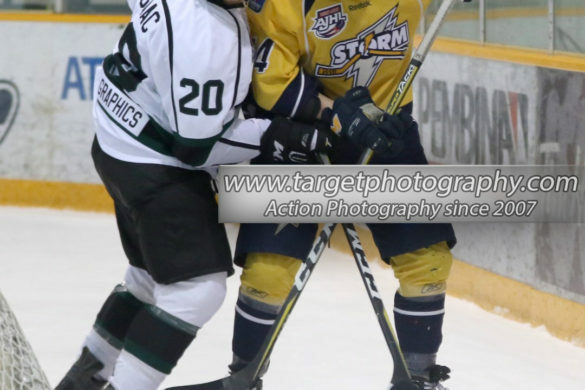 The Martensville, SK, native has some junior hockey experience under his belt. 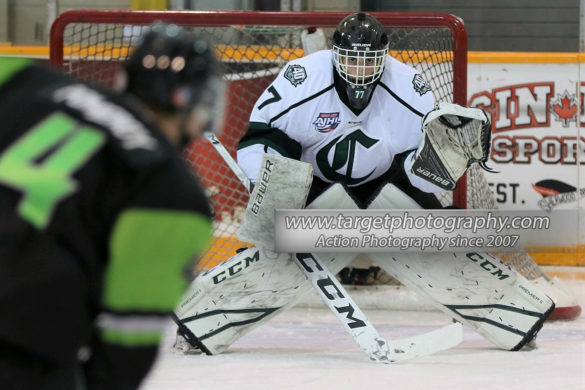 Doell has suited up for the La Ronge Ice Wolves (SJHL) nine times over the past two seasons. In those nine games, he scored a pair of points with a goal and an assist. The Wolverines expect him to bring an immediate impact next season. 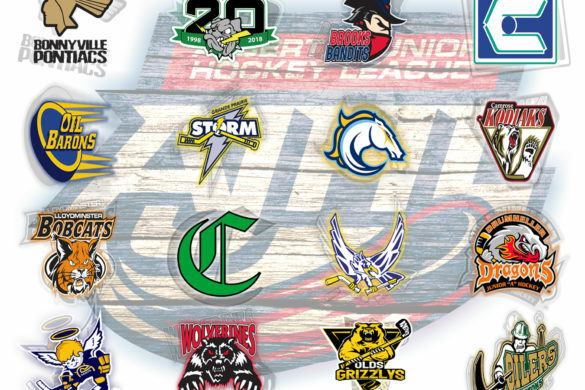 With no AJHL on the cards tonight, fans can next catch their team’s in action on Thursday evening. The Camrose Kodiaks host the Olds Grizzlys at the Encana Arena. The Grizzlys are only two points behind the Calgary Canucks for seventh in the South Division and that final playoff spot while the Kodiaks with a win could climb back into one of the home ice advantage spots for the first round of the playoffs. 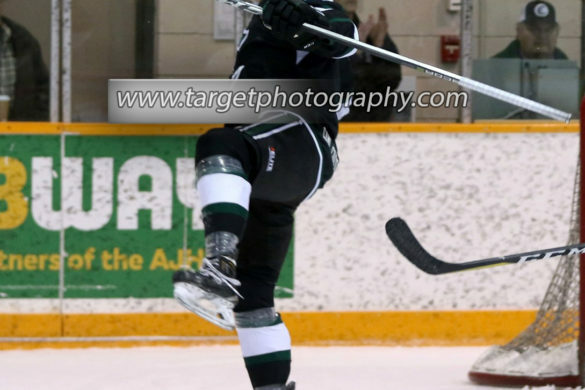 Also in action are Drumheller Dragons to travel to Calgary to face the Mustangs. A win for either team would give them sole possession of third in the South Divison.